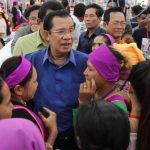 In yet another bid to shore up the garment worker vote ahead of next year’s general election, Prime Minister Hun Sen on Wednesday promised to lower their water prices and offered more details about a pending pension plan. The Phnom Penh Water Supply Authority on Monday promised to reimburse customers for recent water bills calculated on old higher prices, hours after Prime Minister Hun Sen ordered an investigation into inflated bills. 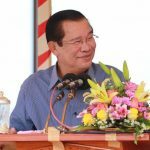 In yet another potentially major new benefit to Cambodian workers ahead of next year’s national election, Prime Minister Hun Sen on Sunday announced that employees in some of the country’s key industries would soon be able to receive free checkups and treatment at state hospitals. 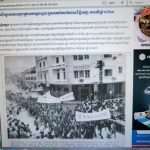 Amid rising diplomatic tensions, the U.S. State Department on Thursday condemned the “deterioration in Cambodia’s democratic climate,” as a government-aligned website, citing anonymous officials, warned of mass nationalist protests against the U.S. Embassy in Phnom Penh. 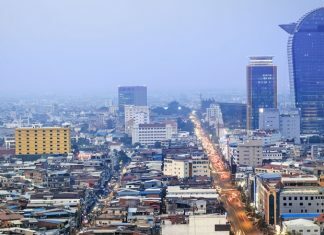 Foreign staff given one week to leave the country after the U.S.-affiliated National Democratic Institute was ordered to cease operations in Cambodia on Wednesday will be forcibly removed if they fail to leave on their own accord, a CPP official said. 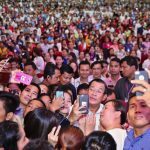 Days after promising garment workers a minimum wage of at least $168 starting next year, Prime Minister Hun Sen on Wednesday made another pitch for their votes in the July national election with a “three asks” policy. 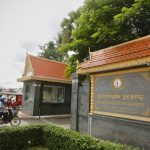 Information Ministry officials on Tuesday gave contradictory accounts on whether the government is considering new rules barring radio stations from carrying broadcasts from U.S.-funded media outlets Radio Free Asia and Voice of America, adding to ambiguity surrounding the outlets’ fate in Cambodia. The National Assembly’s permanent committee on Monday approved further study of amendments to Cambodia’s election law that would allow more than 1 million migrant workers to vote from outside the country’s borders. CPP senators voted on Monday to block Sam Rainsy Party (SRP) senator Kun Lum Ang from joining the Senate human rights commission, which was previously chaired by her jailed husband, former SRP senator Hong Sok Hour. In a move likely to play well with a large swath of voters ahead of next year’s national election, Prime Minister Hun Sen on Sunday announced a raft of new benefits for garment workers including a big bump to their monthly minimum wage—from $153 to “at least” $168. The National Democratic Institute became the latest U.S.-affiliated organization to face government allegations of wrongdoing on Wednesday night after its purported secrets spilled onto government-affiliated media. 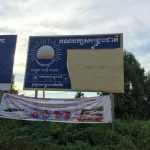 Until the CNRP scrapes together enough money to replace its soon-to-be-outlawed party signs, local-level officials have resorted to scissors and paint to alter the images on thousands of promotional billboards across the country. 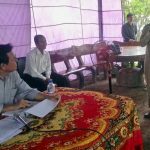 A ruling party spokesman said CPP lawmakers would attend a National Assembly vote on enfranchising Cambodians who live abroad if the opposition’s proposal makes it to the parliamentary floor. 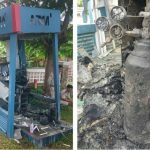 Police in Kep province are looking for a man who is believed to have blown up an ABA Bank ATM using gas canisters to remove the estimated $10,000 cash inside before speeding away early on Tuesday morning, police officials said. The National Assembly will consider the opposition’s proposal to allow overseas voting “soon,” a spokesman said on Tuesday. 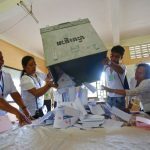 CNRP lawmakers submitted legislation on Friday that would allow Cambodians overseas to register and vote to the National Assembly, downplaying ruling party concerns that the proposal was costly and impractical. The CNRP’s detailed proposal to make it easier for migrants to register and vote will be submitted today to the National Assembly, opposition lawmaker Son Chhay said. Authorities have issued an arrest warrant for the opposition CNRP’s top Phnom Penh official, ordering all relevant forces to bring in the politician over a clash at an election campaign rally that he has maintained he did not attend. 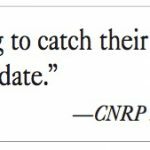 After a third run-in between a newly-elected opposition commune chief and ruling party-controlled provincial government, a CNRP lawmaker is accusing the CPP of obstructing the work of its officials at the local level. Taking stock of his party’s June commune elections losses, CNRP president Kem Sokha has embarked on a countrywide tour to gather feedback and intelligence the party can use to steer its national election campaign, party officials said on Tuesday.